We first met Sheridan* in the fall of 2010. As an adoptee, she was curious about her DNA and what 23andMe might be able to tell her. 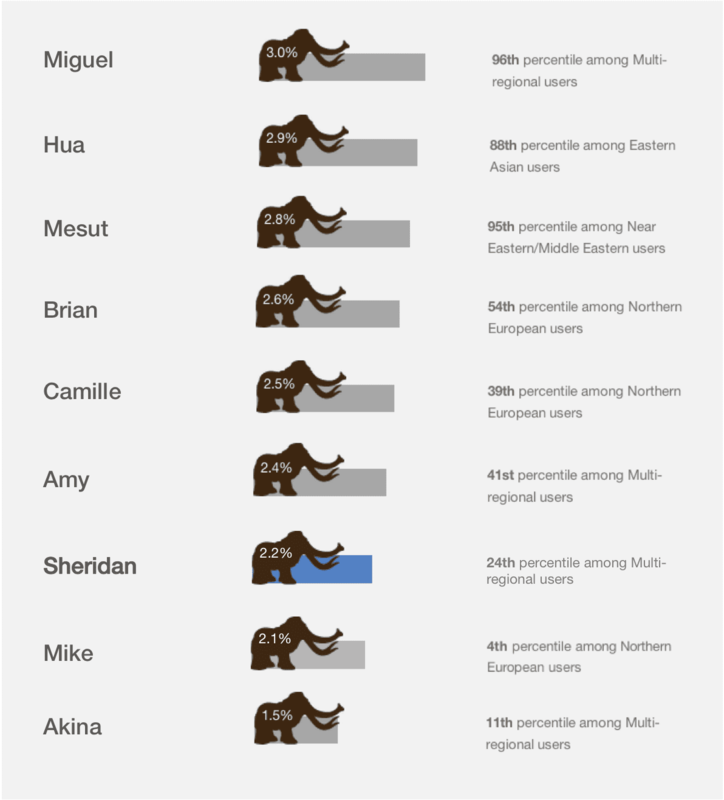 With the help of old friends and some new ones on 23andMe, Sheridan learned about her global origins, which include an African-American father and a mother of European descent, and connected with DNA relatives. She even discovered that she and her good friend Brian are 4th cousins, which means she has some Irish ancestry. Together, they figured out a branch of her family tree. For a quick Ancestry primer, check out: Ancestry at 23andMe: What Can You Learn? Follow Sheridan’s journey from the beginning:* Introducing Sheridan Sheridan’s Global Origins Sheridan’s Got Relatives Finding Connections Old Roots and New Horizons *Sheridan and her story are works of fiction and any resemblance to actual people or events is purely coincidental. 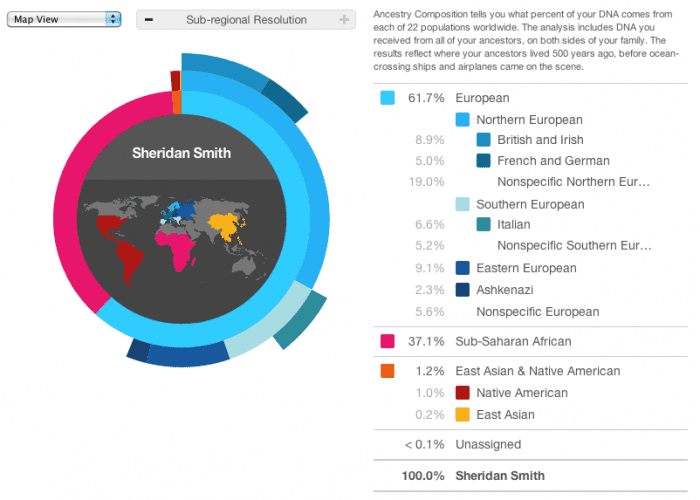 For Sheridan, learning about herself on 23andMe did more than just kindle a love for the Irish. By combining the information she learned about her ancestral origins with information from some of the DNA Relatives she found, she and Brian were able to fill in the first pieces of her genealogical history. Since then, Sheridan’s filled in even more of the family tree on her mother’s side. Her second cousin Mike, identified through 23andMe as a DNA Relative, was able to track down the name of his grandmother’s sister — a woman very likely to be Sheridan’s own grandmother. To Brian’s delight, Mike also found the name of his grandmother’s sister’s husband, a Fitzpatrick descended from the same Irish ancestors as Brian. Brian always kept her in the loop on 23andMe, though. Some more mutual friends joined and they quickly started sharing on 23andMe. Sheridan remembers when the Neanderthal Ancestry feature came out. There was an unofficial contest over who had the most Neanderthal DNA; Brian was disappointed that he was solidly average for a Northern European person. Sheridan tried to cheer him up by pointing out that he still had the most caveman of their friends with mostly European ancestry. “That’s because Neanderthals were never even in Africa to begin with,” he snorted, but he seemed mollified. But Brian’s Stone Age enthusiasm paled in comparison to his excitement over Ancestry Composition. 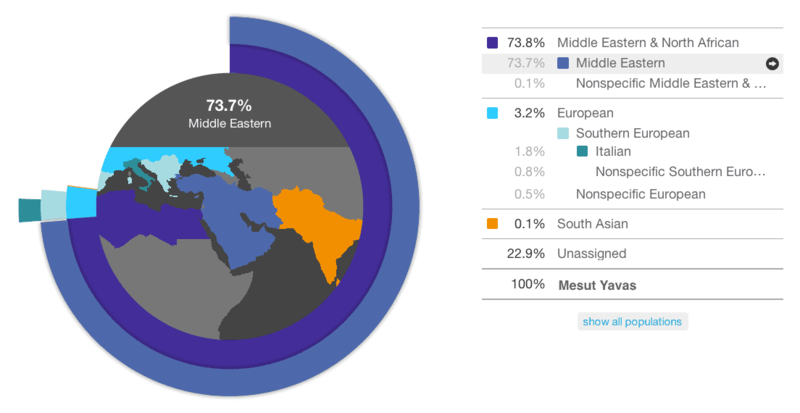 A new and improved replacement for the popular Ancestry Painting feature, Ancestry Composition gives a much more detailed breakdown of a person’s genetic ancestry. Brian called Sheridan at two in the morning when it came out. So maybe two in the morning wasn’t the best time for Brian to tell Sheridan about Ancestry Composition. But the next day they met up at the coffee shop to explore the new feature together. 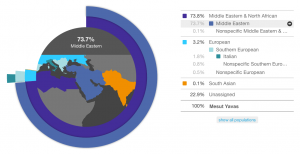 Brian quickly explained that 23andMe had updated its main ancestry feature with lots of examples of people with full ancestry from different parts of the world — like South Asia, France, or Finland. Some of these people were part of research studies and their genetic data is publicly available. But many of the people 23andMe used to develop its ancestry analysis are 23andMe customers themselves. Brian clicked on the ‘+’ symbol in the “Resolution” bar to zoom in. “It’s still all European for me — no surprise — but now it can break it down into sub-regions.” The list of ancestries on the right of the screen expanded as he clicked and when he hovered the mouse pointer over the darker blue ring the map zoomed in to the British Isles. “See? 99% British and Irish!” he said, puffing out his chest, which today was sporting, perhaps not accidentally, a green “Kiss me, I’m Irish!” t-shirt. Sheridan rolled her eyes. “Oh, right. Yeah.” Sheridan scooted him aside and pulled her Ancestry Composition up on the screen. The rings quickly morphed into concentric stacks of bright colors with a rainbow-colored map in the middle. According to the new analysis, Sheridan’s DNA was about 62% European, 37% Sub-Saharan African, and 1.2% East Asian or Native American. The rest of her DNA was unassigned, meaning it couldn’t be mapped confidently to any specific population. She already knew that she probably had some Irish ancestry based on the fact that she and 99% Irish Brian were 4th cousins and they’d traced their Irish family connection through her second cousin Mike, but it was somehow gratifying to see it spelled out so clearly on her screen. She could also see that she had some Eastern European and even a bit of Native American ancestry. 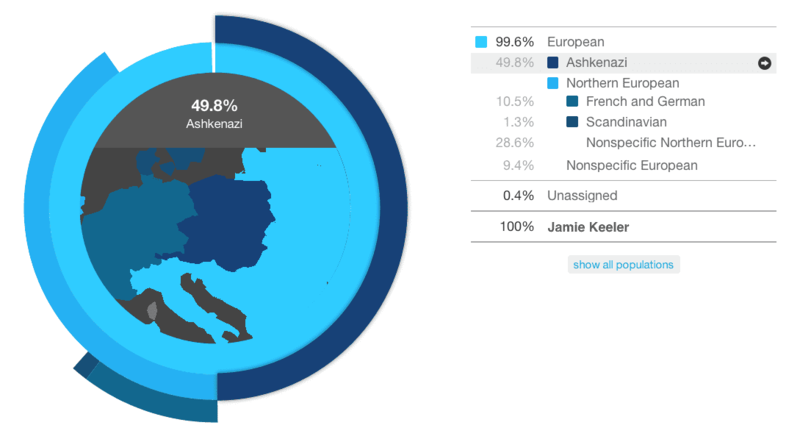 There was also a small dark blue band in her Composition labeled as “Ashkenazi”. 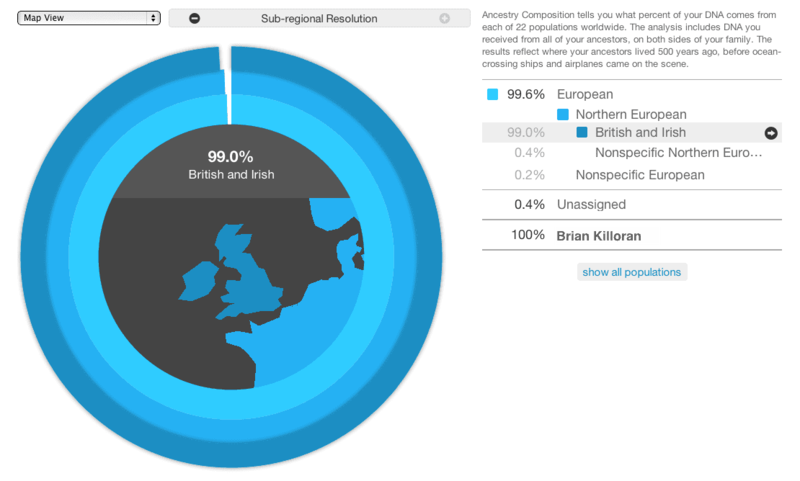 For now, Ancestry Composition kept them busy as they explored their friends’ results. Miguel had a colorful Composition like Sheridan, except it had much more Native American and much less African. Mesut, Sheridan’s Turkish friend, was mainly Middle Eastern and European. 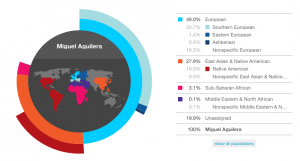 “Did Camille know she has Native American ancestry?” she asked, pointing to the 3.3% Native American in her Ancestry Composition. 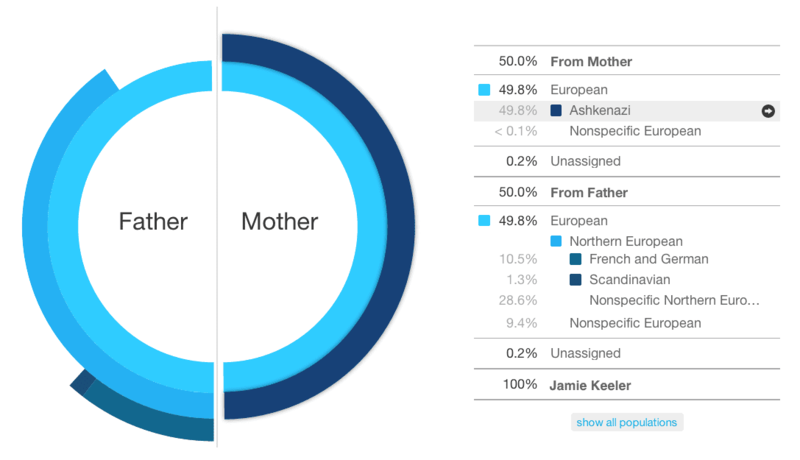 The map in the middle disappeared and the labels “Father” and “Mother appeared on either side of a vertical line splitting the colored rings in half. Sheridan could see that the Ashkenazi ancestry was clearly from Jamie’s mother’s side. “Wow, that’s cool,” said Sheridan. She thought for a second. “So if I do end up learning who my mother is, and if I’m able to find her, and if she wants to do 23andMe… would this be able to tell me more about my father’s side, too?” Brian nodded.